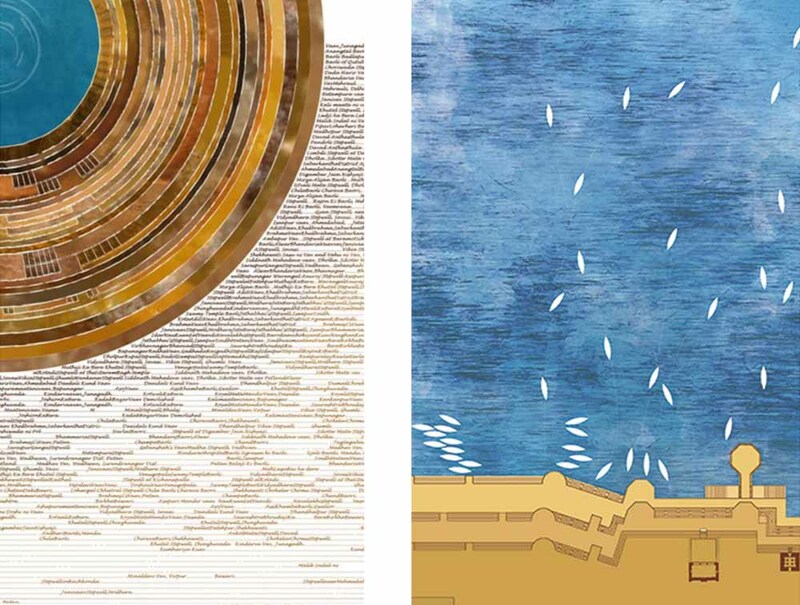 When an elevated highway is demolished to make way for a park, how does Art respond to such contrast? 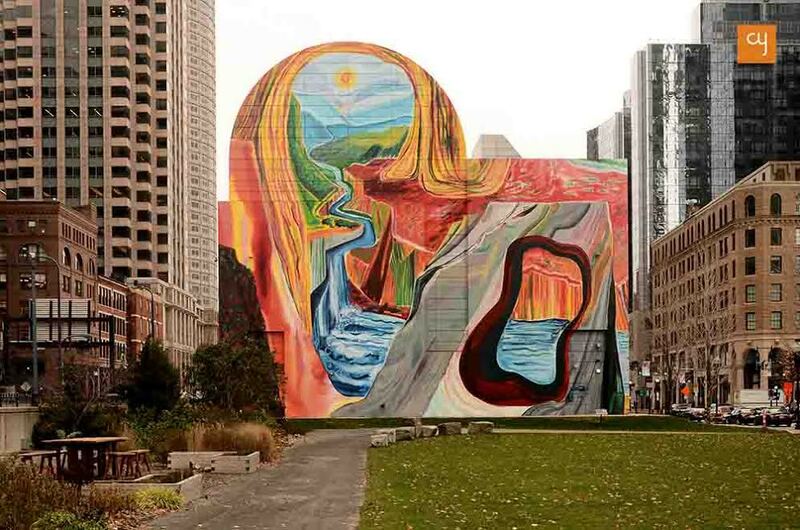 Find out how the Rose Kennedy Greenway park in Boston is serving as a bustling canvas for artists. When an elevated highway that’s long disrupted your city is finally destroyed, how do you turn its memory into something beautiful? The Rose Kennedy Greenway parks came as a breath of fresh air to residents of Boston in the 1990’s, after the highway that once divided parts of the city was replaced by a tunnel system to make way for public space. A mile-and-a-half long oasis now lies where the highway once stood, between the towering glass and steel buildings of the city’s Financial District. Not only is the green belt dotted with colourful plants that attract pollinators, but art has also been identified as an integral way to add life to the Greenway. But how do artists respond to such contrast, to such memory and restoration? Without so much as a preamble, artist Sharah Hughes plunges us headlong into a hallucinatory world where caverns rise to frame a totally surreal landscape of waterfalls against the backdrop of a building facade. A crack seems to open up in the middle of the city, like a portal to another reality – perhaps it shows us a window into what existed here long before the elevated highway, perhaps in the time of the dinosaurs. Carving Out Fresh Options is a portal into a dream-like natural world. Its garish combination of colours claw at the monochrome fabric of the city. 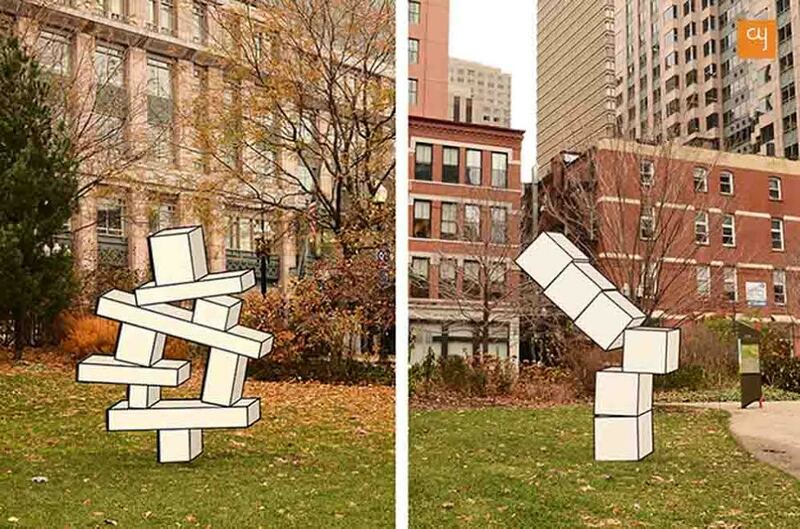 Brooklyn-based Aakash Nihalani goes on to puzzle us even more with his cubes performing Balancing Acts. You might be forgiven for thinking for a moment that something’s terribly amiss – did a space traveler from a two-dimensional cartoon planet just hijack your experience of the real world? Lending a false appearance of three-dimensionality, Nihalani’s 2D figurines seem to be on the verge of collapse, prompting the human viewer to launch herself into an act of heroism and become intimately part of the work. 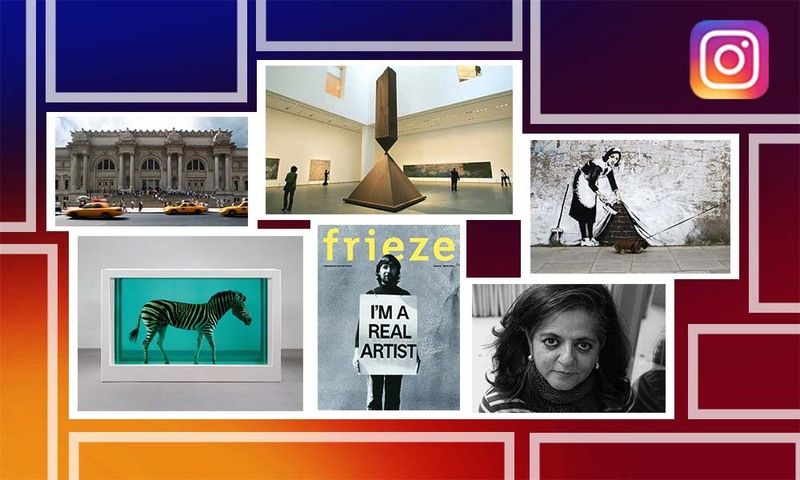 With wry humour, Nihalani’s Balancing Acts capture the tension between the orderly nature of the cubes and the imminent disorder that nature’s force of gravity is about to subject them to. 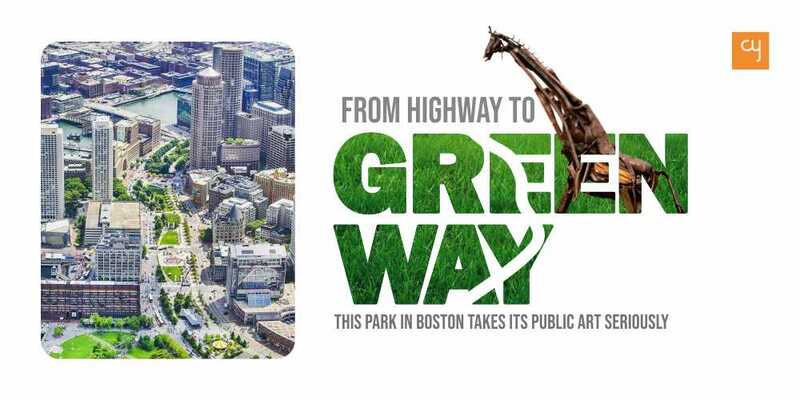 This “reflects the contrast of the Greenway against the surrounding urban landscape,” says a write-up on the work. Let the children remind us of the natural world even if we have forgotten it, a group of community organizations and artists seem to say. And so they do. Children of Boston were asked to sketch what they remember of the animals around Boston. They sketched sea turtles seen in the Boston aquarium, giant mythical sea serpents, whales far out in the sea, foxes glimpsed in the forest and squirrels in the park. To immortalize the natural world of the region, a host of artists then translated the children’s sketches to create The Greenway Carousel. 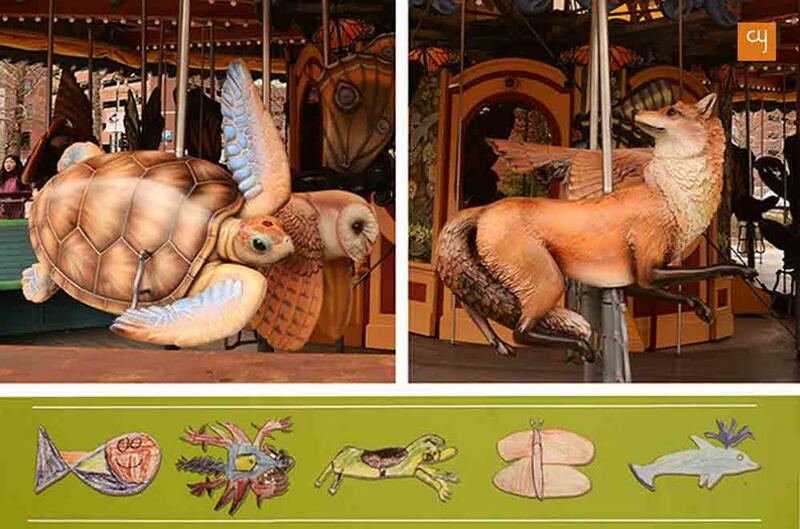 Unlike any other typical horseback carousel, it brings alive a host of lively animals figures crafted with taste. 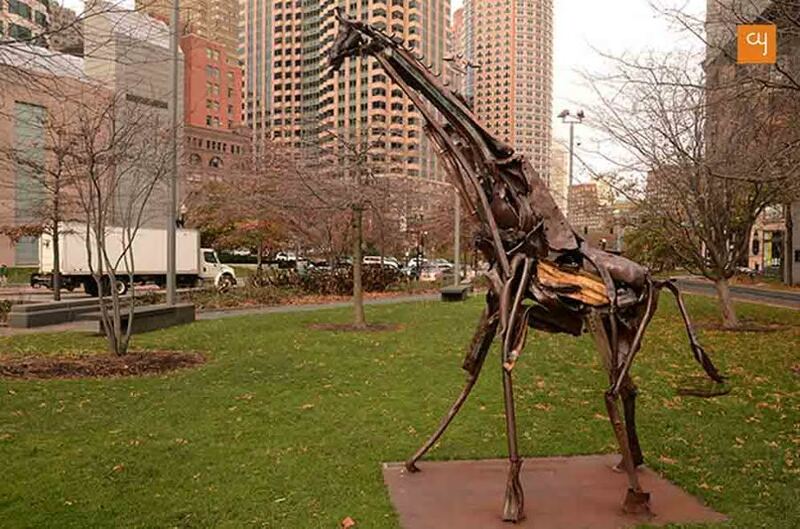 Almost following suit is an elegant sculpture of a Giraffe at the Federal Reserve Bank of Boston that seems to longingly stride towards the Greenway from the hold of its concrete premises. Scrap metal seems to turn to muscle and sinew of the animal. It’s as if the sculpture made by Madeleine Lord says that even a 10-foot-tall giraffe can seem tall in a district of skyscrapers when it has a vast horizontal vista to look at and not just planes in its face. 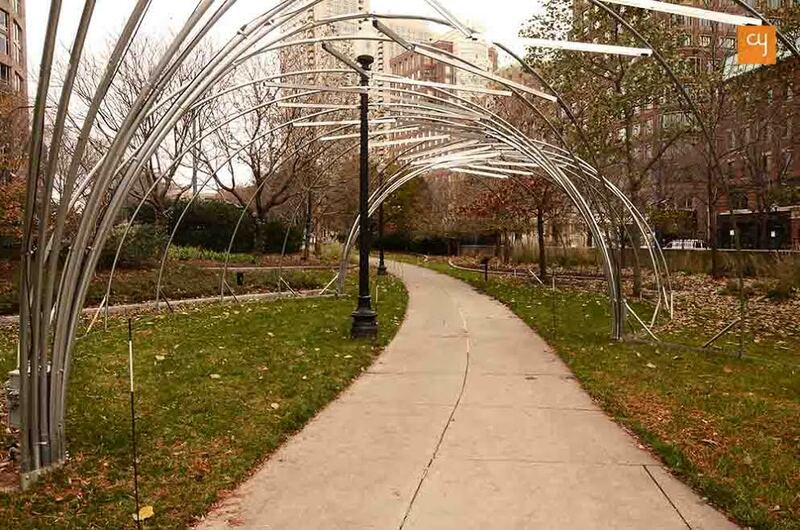 A spindly ‘tunnel’ made in wireframes by the duo of artists called Luftwerk is aptly called Transition and pays homage to the underground tunnel that made it possible to replace the elevated highway. It celebrates the new connection that this brave act of urban planning has restored between parts of the city that were previously divided by the highway. Like a vortex, the tunnel stretches a threshold moment so it can truly be experienced in time for the power of what this act has done for the city. As if to compensate for all the nostalgia over nature, the Greenway then meets us with a host of neon advertising signs. At first, I’m appalled at the display of commercial ambitions. And then I read the fine print. The installation GLOW is meant as a way to appreciate the art of neon signs. Of course, neon signs have never been taken seriously in the pantheon of the art world, but they have, by every means, always served as a form of creative expression that was explored enthusiastically by family-run businesses. These signs might well be remembered by many Americans as being the much-loved landmarks that dotted the country’s landscape from 1925 to 1970. The glowing sign of the Cycle Center promised to sell a sustainable means of travel in an increasingly automotive age for affordable prices. The locally produced State Line Potato Chips promised to deliver chips fresh, “the morning after they’re made”. 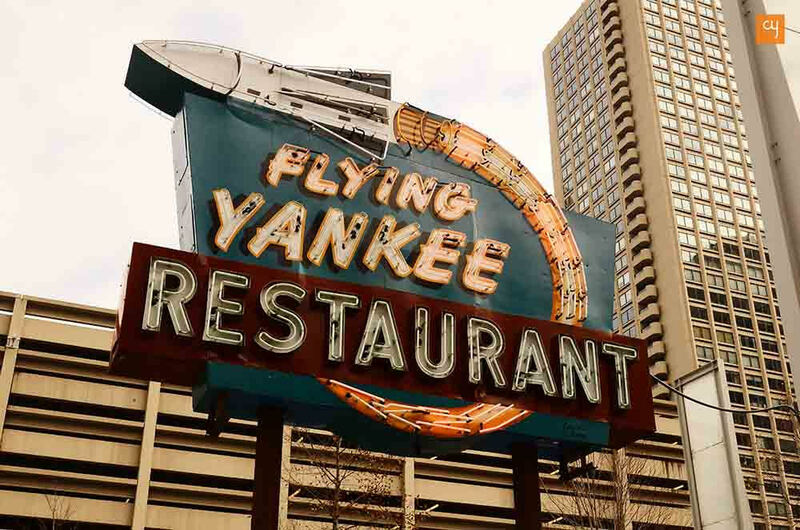 At a time when commercial signs were becoming rather uniform and staid, the Flying Yankee restaurant paid ode to the Space Age with its creative rocket emblem. 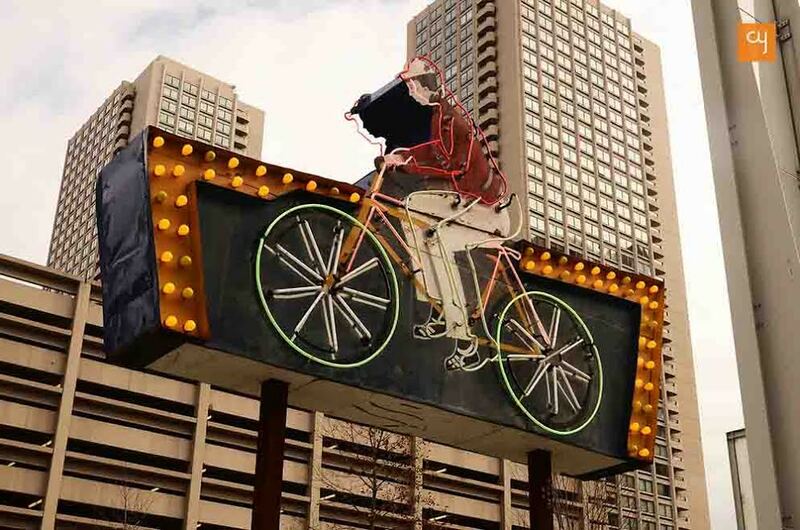 Public art projects are so welcomed and encouraged in Greater Boston at large that the city might just serve as a precedent for public councils elsewhere in the world to take the integration of art into public life more seriously. What’s the point of all this, you may ask? Simply to make you stop in your tracks and wonder, perhaps. 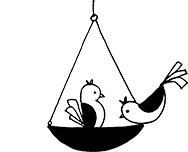 Artist Hincman once installed a park bench at Jamaica Pond that looked every bit like your regular park bench except that it had two backs bending up to face each other. The uncommissioned “guerrilla” work was so witty and confusing that even the authorities opted in favour of having it remain there. Bumping into a work of art on your daily commute is simply an opportunity to allow yourself the joy of being perplexed.